Ninth Cavalry on parade at Fort Davis in 1875. National Park Service. The Buffalo Soldiers comprised one of the most interesting military aggregations in post-war Texas. On July 28, 1866, the U.S. Congress authorized six regiments of black troops – two of cavalry and four of infantry – to be added to the U.S. Army. The nickname "Buffalo Soldiers" was given by Indians, who thought that the tightly curled hair of the black soldiers resembled the curly hair on a bison's face. Since the bison was revered by the Indians, the nickname was considered a term of respect, and the Buffalo Soldiers proudly featured a bison on their regimental crest. After the Civil War, the army offered young black men an opportunity for social and economic advancement. As soldiers, they earned $13 a month plus food, clothing and shelter – more than most could earn in civilian life. They enlisted for five years, coming to the army from many different occupations: farmer, teamster, baker, waiter and painter, among others. Col. Edward Hatch of Iowa, recruiting his men at Greenville, La., commanded the 9th Cavalry; Col. Benjamin Grierson of Illinois, recruited men for the 10th Cavalry at Fort Leavenworth, Kan. When first organized, the Buffalo Soldiers were considered by some army officers to be an undesirable command, and there was a great delay in getting enough officers to lead the black troops. While the men waited, spirits were low, desertion was high and cholera claimed many victims. As soon as the proper number of officers was in place, discipline improved and the desertion rate declined to the lowest in the entire army. In the summer of 1867, the Buffalo Soldiers moved west, beginning two decades of continuous service on the Great Plains and the mountains and deserts of New Mexico and Arizona. By 1869, the 10th Cavalry was headquartered at Fort Sill, then called Camp Wichita, in Indian Territory. For the next six years, the troops protected and kept peace among the Kiowas, Comanches, Southern Cheyennes and Arapahoes on the reservation at Fort Sill. Malaria, cholera, scurvy and typhoid hit the black troops regularly. Troopers of the 10th Cavalry of Buffalo Soldiers accompanied Gen. William T. Sherman on his inspection tour of the Texas frontier in the spring of 1871 and returned with him to Fort Sill. There Sherman was informed of the massacre of the Warren wagon-train party on the Salt Creek Prairie, near the Young-Jack county line. Before the leaders of the responsible raiding party were confronted, Grierson quietly ordered the Buffalo Soldiers to saddle and mount, except for a dozen, whom he stationed behind the closed shutters of the windows of his house, facing a parade ground full of Indian warriors. Chief Satanta arrived and admitted that he, Satank, Eagle Heart and Big Tree had perpetrated the massacre. When Gen. Sherman announced that the guilty chiefs were under arrest and would be tried, Satanta started to draw a revolver from under his blanket, whereupon the shutters flew open, and he was confronted by the Buffalo Soldiers with cocked carbines. Then the mounted soldiers moved out of the stables and took positions to cut off escape routes. Although Big Tree escaped, the remaining chiefs were taken into custody without a shot's being fired. The Buffalo Soldiers performed with cool discipline in a situation that could have resulted in a blood bath. On an inspection trip in 1873, Major John Hatch found morale high among the Buffalo Soldiers at Fort Sill, although they were forced to use second- and third-class equipment and animals. Many of their horses were castoffs of the 7th Cavalry. Some were so old that they had served in the Civil War. Out of 48 serviceable horses of Company F, only three were under 15 years of age. One company was using saddles that had been condemned. Another company had only 25 rounds of carbine cartridges per man. But the soldiers had a good record, discipline was excellent, and the number of courts-martial for drunkenness, a common problem at frontier forts, was lower than for comparable white units. In spring of 1873, companies of the 10th were transferred to Texas: to forts Richardson, Griffin and Concho. At various times, Buffalo Soldiers of the 9th and 10th Cavalry regiments served at virtually every Texas frontier fort from the Rio Grande to the Red River and on into the Panhandle. The proud black troops built and renovated dozens of forts, strung thousands of miles of telegraph lines, and escorted wagon trains, stagecoaches, railroad trains, cattle herds, railroad crews and surveying parties. Cadet Henry Flipper, USMA Class of 1877. They opened new roads and mapped vast areas of the West. They recovered thousands of head of stolen livestock for civilians, brought dozens of horse thieves to justice, and pursued Indian raiders, often having to stay on the move for months at a time. Lt. Henry Flipper, the first black graduate of West Point, served with the 10th Cavalry in West Texas and was stationed for a time at Fort Concho in the late 1870s and Fort Davis. There was sometimes friction between civilians and the black troops. But Texas was, after all, a former slave-holding state in the throes of Reconstruction. Any face in a hated blue uniform was resented. After Indians had been displaced from West Texas, the Buffalo Soldiers were assigned to pursue them into New Mexico, Colorado and the Dakotas. In 24 years of active and arduous service, the Buffalo Soldiers earned nine Medals of Honor and numerous commendations. They also earned the respect of many previously dubious army officers. 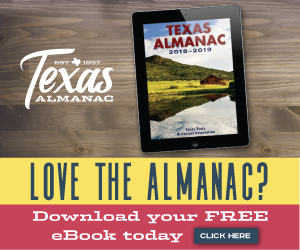 — written by Mary G. Ramos, editor emerita, for the Texas Almanac 1990–1991.